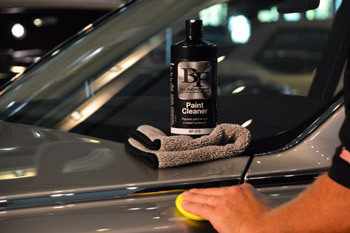 Home > Shop By Brand > BLACKFIRE Pro Detailers Choice Car Care Products > BLACKFIRE Paint Cleaner 32 oz. I have to say, it does provide the base for a mirror finish. But I maintain my cars with a show finish anyways. Not sure itâ€™s any better than using a clay bar though. It certainly requires more effort than clay and I used a buffer to apply it. 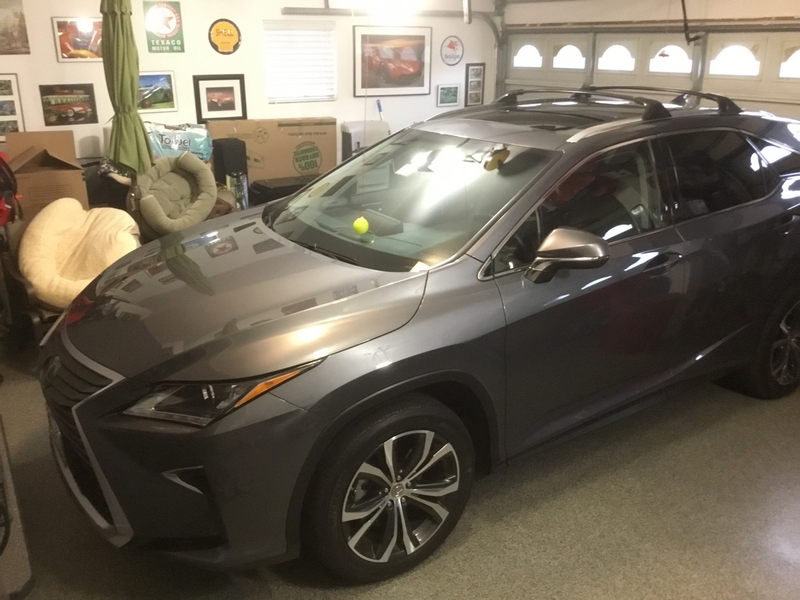 After finishing application on my SUV I felt like I got a decent workout. I did feel a couple of small embedded particles on the hood before applying wax. Very minor but it would have been a simple fix to run over it again with a clay bar. Still undecided. Awaiting an opportunity to apply it to my black sedan. Does what some others claim to do! This cleaner removed a "quartz" sealant that other paint cleaners could not remove. I applied a quartz sealant to my car in accordance with the instruction but the result was a hazy mess. No paint cleaner that I tried would remove it. This cleaner removed the smeary mess on the first application and left my finish ready for a different treatment. Congratulations on creating a product that truly does what it claims! I had hoped to use this with my Porter Cable D/A polisher. Spread over a 2x2 section then went to remove it. Forget it! Left awful smears that would not come out no matter how much buffing I did. Hit it with M205 and got rid of them. The only way I was able to use this was to apply by hand and buff off IMMEDIATELY. If left to haze at all it will leave hazy smears. Maybe I'm doing something wrong but followed the directions on the bottle. The results it gave are 5 stars but took off 2 because of how hard it is to use. ProsPrepared paint for sealant well. ConsToo much work. 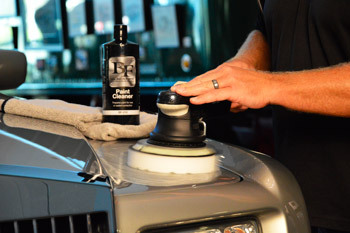 Could not get it to work with a D/A polisher. This product was extremely easy to apply. The gloss and shine is simply amazing. I used the polish after claying the car with the BlackFire clay bar. It's everything I wanted it to be plus some!! 2014 Porsche. I'm ocd about my cars. This brought out the shine even more. This, then sealant then the wax BAM game over! ProsExcellent cleaner excellent shine super gloss. ConsNot the easiest to buff off but not hard.